Some people spend more time in their car than they do in their homes. When you’re driving aimlessly through traffic, the question is, what are you listening to and what is the quality of your sound? Very often, people find themselves stuck with factory branded stereo systems that simply don’t get the job done anymore. If you are looking to upgrade the quality of your sound while maintaining a realistic budget, then look no further in this review as we are going to cover three of the best 6.75-inch speakers on the market today. Infinity Kappa don’t make cheap audio equipment but you get what you pay for with these 6.75” speakers that will blow your factory system clean out the water. Components are designed to give you a beautiful clarity across all frequencies. Bass is better than you would expect from small speakers with plenty of air pushed. If you’re looking for a solid investment that will last for many years on the road, check out these awesome component speakers. 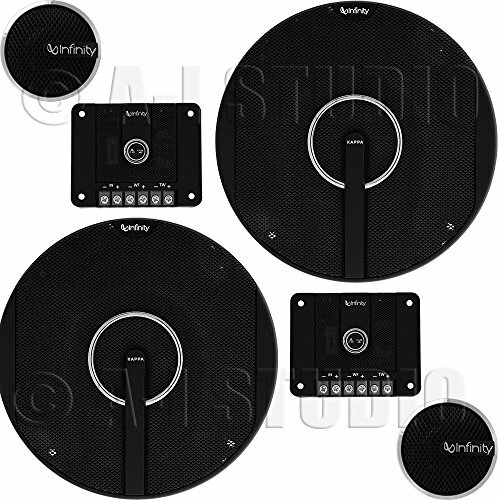 Whether you’re looking for a simple tweak or a full system overhaul, these Infinity Kappa are the ideal component speakers. You’ll get 180 watts of RMS power per pair which is more than enough for most reasonable needs. PlusOne+ technology extends the cone to the very edge of the basket. This allows the speakers to move more air due to the increased cone surface so you’ll get a thudding bass to sit alongside great high-frequency response. Dome tweeters come fully to the fore in the mid-range and completing a rich sound that will have your feet tapping. 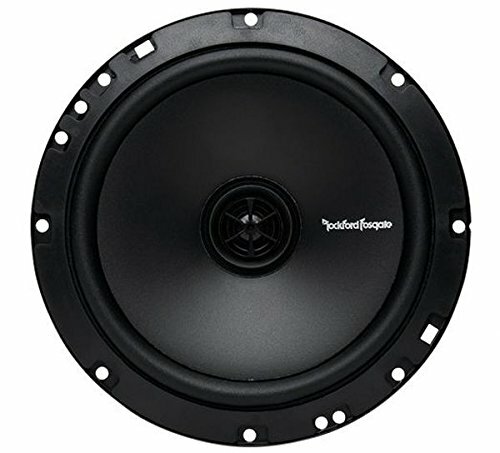 You know where you stand with Rockford Fosgate. 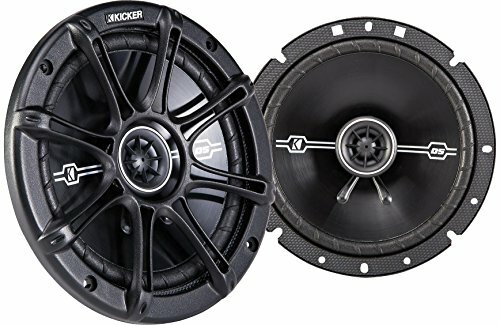 These 6.75” speakers are fashioned from durable components built to give many years of service while giving your car’s sound system a serious boost. With crossover built in, the sound will be fully optimized without you needing to fiddle around. For an affordable alternative to the mediocre sound system that comes with most cars, check out these drivers at your earliest convenience. Rockford Fosgate has poured a great deal of technology into these compact speakers so you get an across-the-board clarity missing in many more expensive set-ups. Stiff woofer cones give you a crunching bass while the dome tweeter makes its presence felt with high-frequency sounds. Sensitivity is high and the crossover network onboard ensures the right sound goes to the right driver for maximum effectiveness. Everything you need for installation is provided. Although you might need some minor fine-tuning, you’ll have these speakers fitted in no time ready to pump up the volume. At 45 watts RMS, you’ll notice a very significant difference in power from the stock speakers you’ve put up with until now, so give yourself a treat and invest in these neat speakers today. With speakers in this price range you should be reasonable about your expectations. As long as you bear the price in mind, you’ll certainly be impressed at the superior sound quality when compared to your car’s original speakers. The shallow design makes the Kicker a smart move if you have a truck or any other vehicle with limited space. Sound quality is admirable across the whole frequency range so you can’t ask for much more at this price point. Kicker is one of the most reputable names when it comes to mainstream car audio. While you won’t carry off any car comp trophies with these 6.75-inchers, the deep and clear sound will make you delighted you opted to upgrade your stock system. 60 watts RMS power will keep you happy even if you like listening to your music at higher volumes. You won’t notice any discernable distortion either so you can jack it right up without any muddy interference. The all-black design with grille resembling an alloy wheel means these speakers will look the part in any car while bringing out new subtleties in your favorite music. The 1-year limited warranty gives you complete peace of mind and all the kit you need to install these speakers comes included.